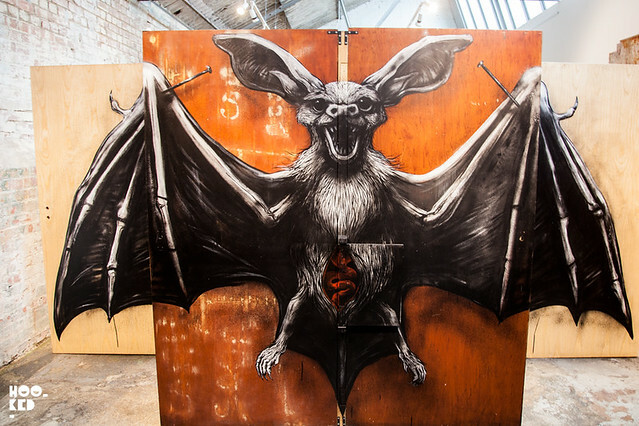 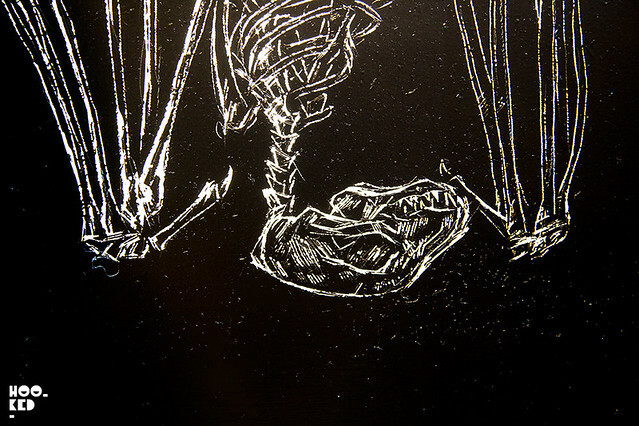 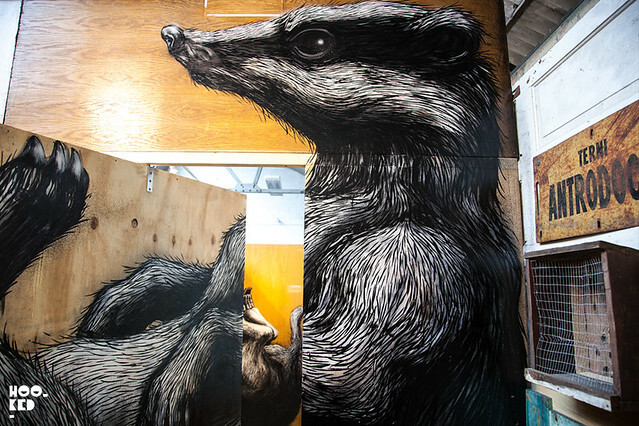 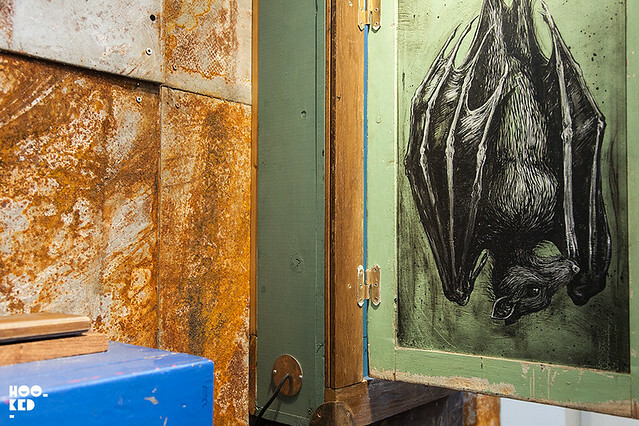 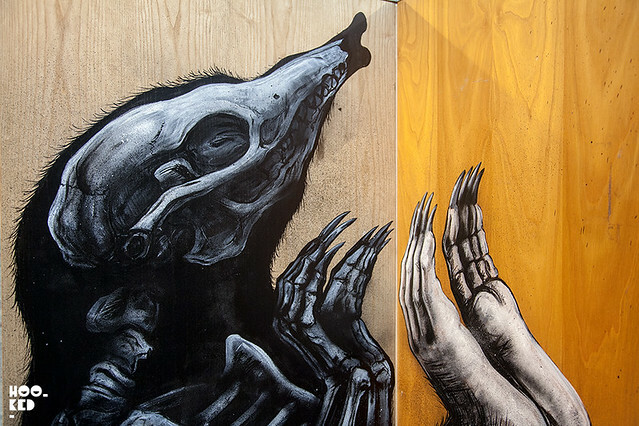 Internationally acclaimed street artist ROA was in London last week to create a unique onsite installation at StolenSpace Gallery for his 'PROJECTUM 06' project which opened at the space on the 12th June 2014. 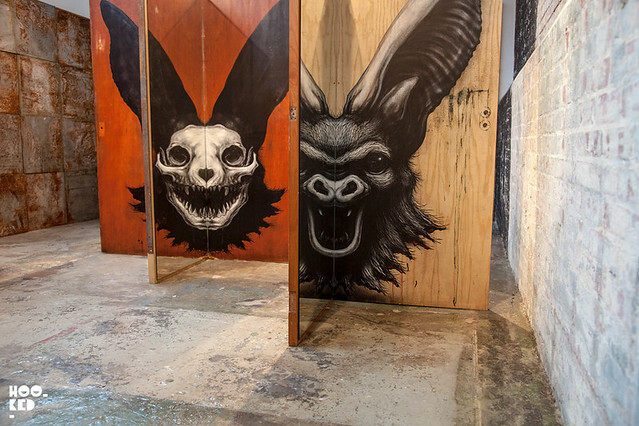 We unfortunatly missed the opening event but we stopped by the gallery over the weekend to check out the new large scale works from the artist. 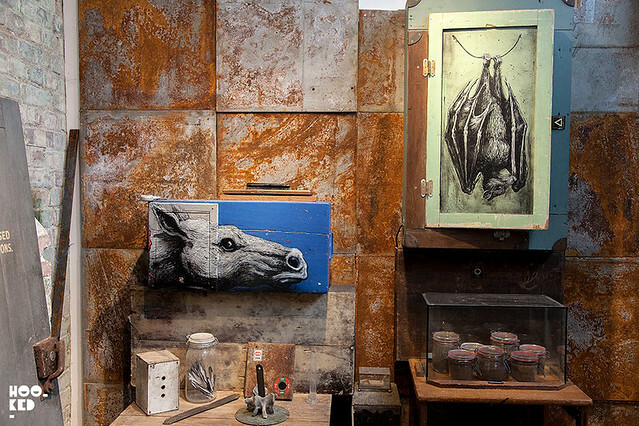 Check out a selection of images we took during our visit to the gallery. 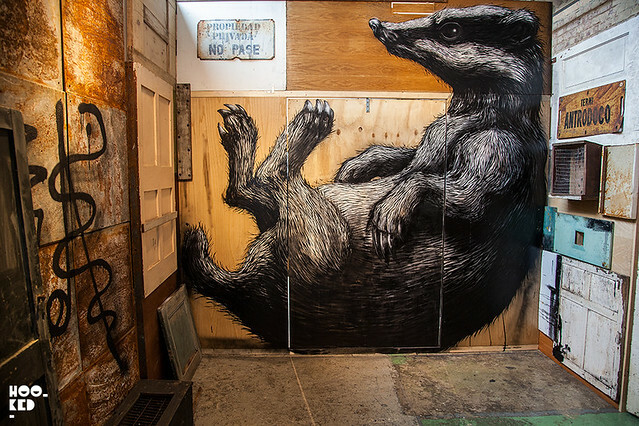 ROA New Mural in East London. 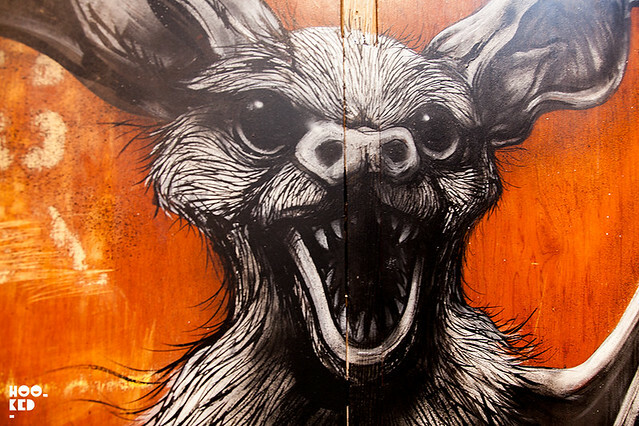 Discover some of the best Street Art in Brussels, Belgium.